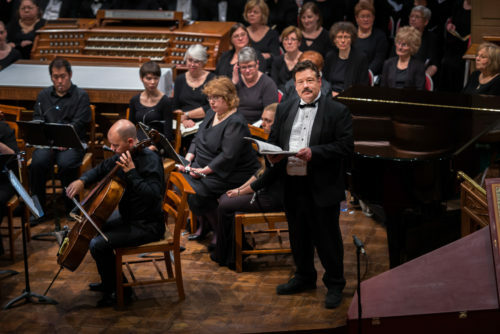 Join us March 19 for a concert featuring Fauré’s Requiem, Cantique de Jean Racine and Beethoven’s Choral Fantasy. Tickets are $12 for adults, $5 for seniors and students. 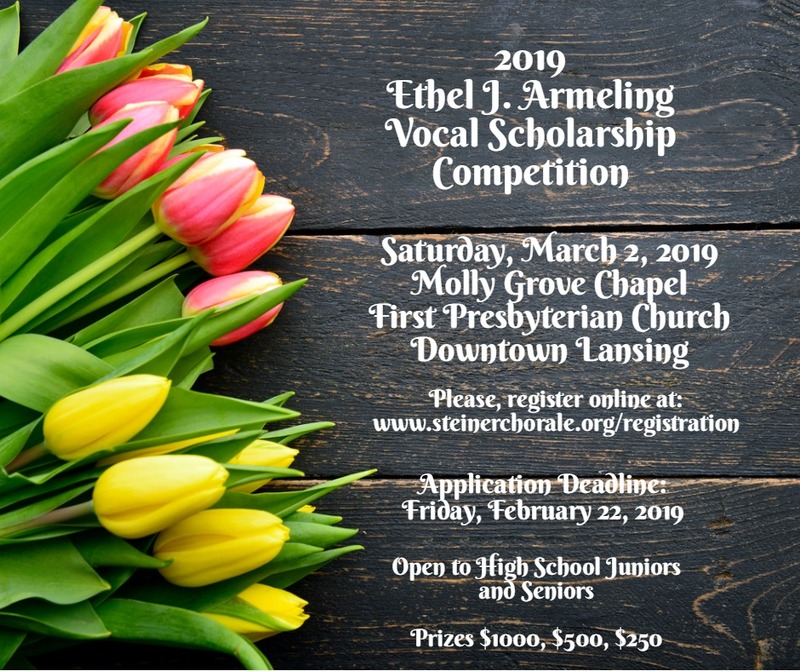 Registration is now open for the Ethel J. Armeling Vocal Scholarship Competition. 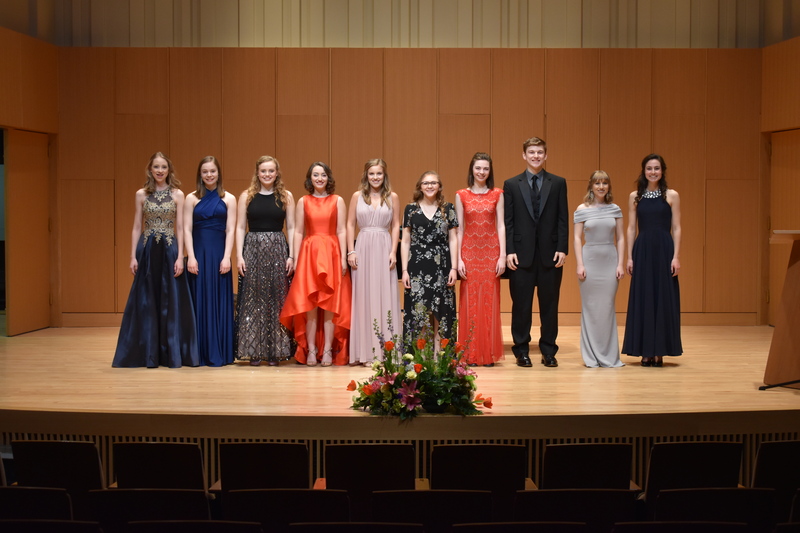 For the past six years, the Steiner Chorale has provided an opportunity to aspiring young people by sponsoring an annual Vocal Scholarship Competition. This event draws high school-aged students from music programs from all school districts across the state of Michigan and both recognizes and financially rewards the most talented among them. Students are required to sing three selections: one American Art song, one in a foreign language and another piece of their choosing. The vocal competition is for junior and senior high school students and are critiqued by reputable judges with distinguished careers in the vocal arts. The top ten students are selected after the Preliminary Auditions and are asked to return to compete during the Finalist Gala Recital. The registration fee is $40 and prizes will be awarded to the top three students in the competition at the Finals event on March 17th on the campus at Michigan State University. 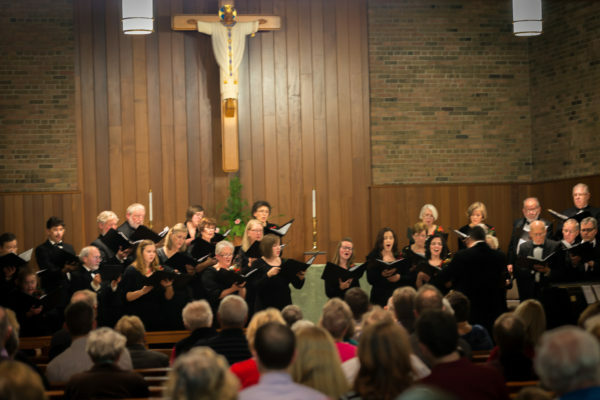 The Chorale’s last concert of the season is sure to be a treat for the entire family. If you enjoy medieval reenactments, you will especially enjoy A Madrigal Dinner! 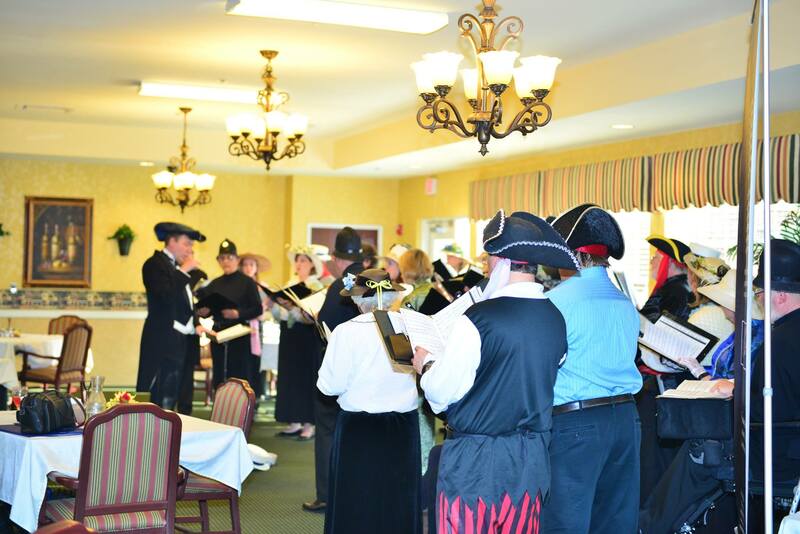 In true medieval fashion, madrigals will perform selections while you enjoy a delicious meal! Stay tuned for dates and times. To audition for the Steiner Chorale, sign up online at www.steinerchorale.org/audition. Rehearsals will be every Monday starting on September 10that St. Paul’s Lutheran Church on Lake Lansing Road. Steiner Chorale is pleased to announce that its spring concert will feature the incredibly talented pianist, Takis Pizanis, performing Beethoven’s Choral Fantasy, Op 80. 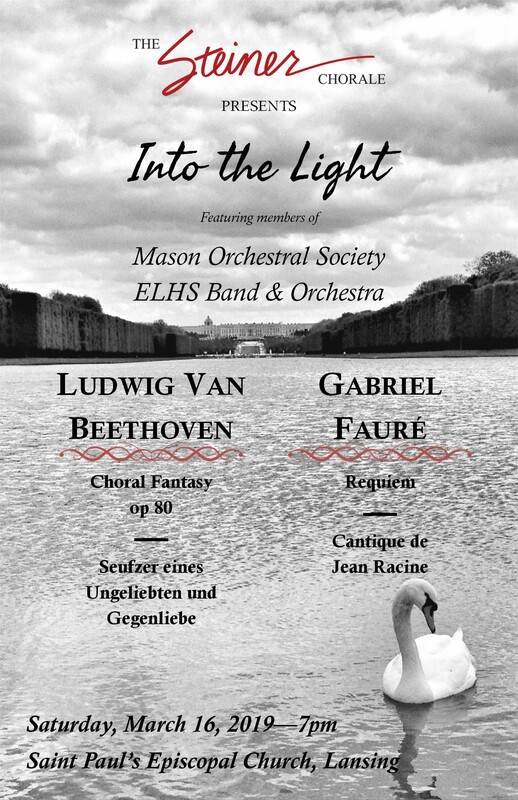 Also, the Chorale will perform Faure’s Requiem. Stay tuned for dates and times. Takis received his Bachelor of Fine Arts from Florida Atlantic University and his Master of Music from Michigan State University. As a prize-winning pianist, he performs as a soloist, staff accompanist for clinics and conferences, and as a personal accompanist for instrumental and vocal soloists. He has directed numerous high school and community musical productions and is the accompanist for the MSVMA’s teachers’ Summer Workshop. 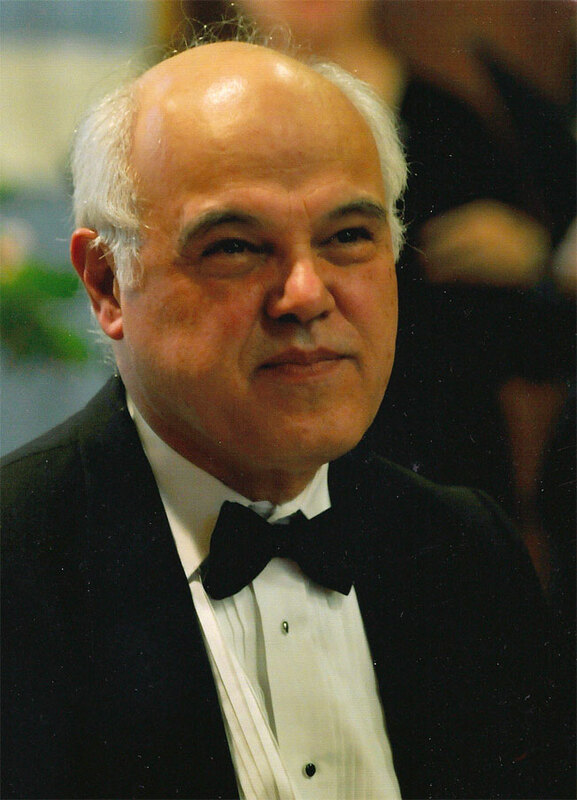 Takis has been the accompanist for Steiner Chorale for over 20 years. Steiner Chorale is pleased to announce Eric Cadena as the guest conductor for the 2018 Holiday concert. Corb Felgenhour, current Artistic Director, will be on sabbatical. 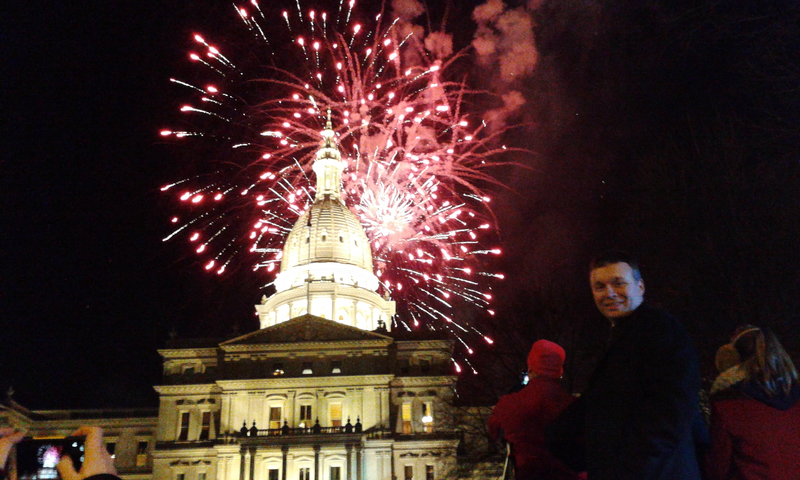 Eric teaches 6th-12th grade vocal music for East Lansing Public Schools. Prior to arriving at ELPS, he taught vocal music for ten years in Sturgis Public Schools. While in Sturgis, Eric also served as Producer/Music Director for thirteen musicals. In addition to singing in choirs, he has performed in musicals in high school and operas in college. Both his bachelor’s and master’s degrees are in music education from Western Michigan University. Eric currently serves his professional music association, MSVMA, on the planning teams for both the Summer Conference and Michigan Music Conference. To audition, sign up online at www.steinerchorale.org/audition. Rehearsals will be every Monday beginning September 10that St. Paul’s Lutheran Church on Lake Lansing Road. 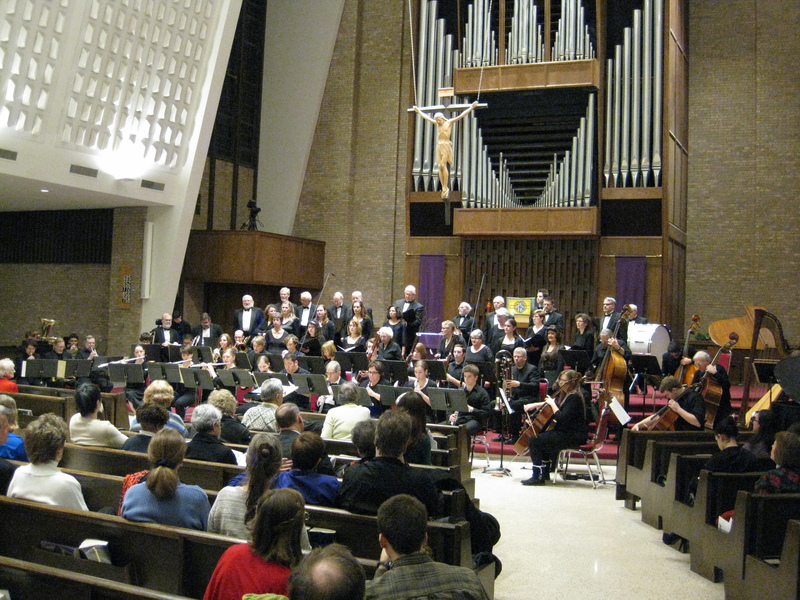 Rehearsals for the Steiner Chorale are every Monday night beginning on September 10th at St. Paul’s Lutheran Church in Lansing, Michigan. Auditions will be held on Aug. 27 and Sept. 4 & 6. at 7pm. Sign up to audition at http://www.steinerchorale.org/audition-information/. Stay tuned for specific concert times and locations. CONGRATULATIONS to our 2018 Ethel Armeling vocal scholarship finalists for their stunning performances this past Sunday, 3/18/18. We are very proud of your accomplishment, and would strongly urge you to keep up your excellent work in your vocal studies. From the following ten finalists, Elise Albaro, Ryan Blankenburg, Emma Clark, Natalie Corrigan, Mackenzie Jacobs, Benjamin Leeka, Hannah Long, Emma Pischea, Emily Thomas, and Kaitlyn Wiegand, the judges had the difficult task to choose three. The three 2018 scholarship recipients chosen are Ryan Blankenburg (1st place), Emma Pischea (2nd place), and Natalie Corrigan (3rd place). 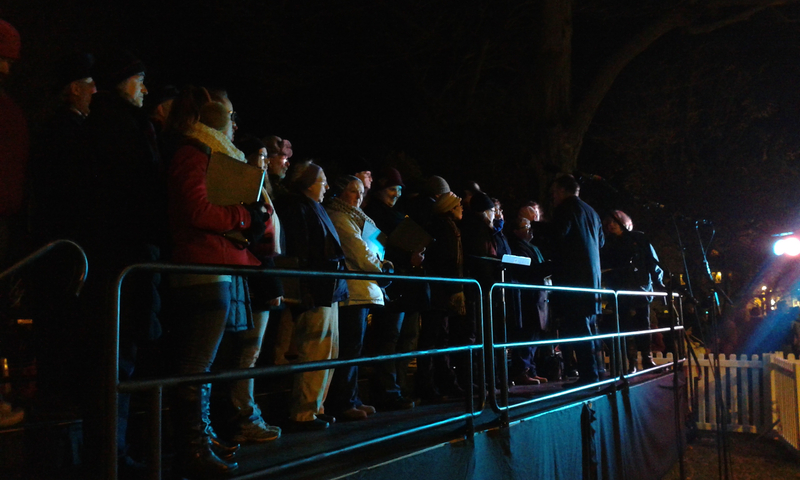 Thank you all for your participation and we hope to see you again next year! 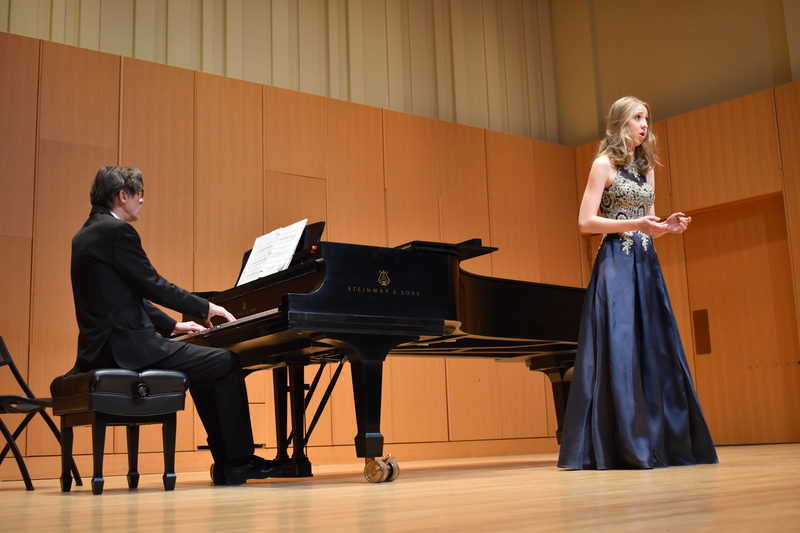 Ten finalists were selected from a pool of competitors at the Semi-finals of the Ethel Armeling Vocal Scholarship Competition on Saturday and will be performing Sunday, March 18, at 6 pm on the stage of Cook Recital Hall in the MSU Music Building for the final round of competition. Three place holders will be selected.